London actress, Lisa Hammond's family history journey on Who Do You Think You Are? was packed full of exciting discoveries and jaw-dropping revelations, many of them coming with the help of unique Findmypast records. 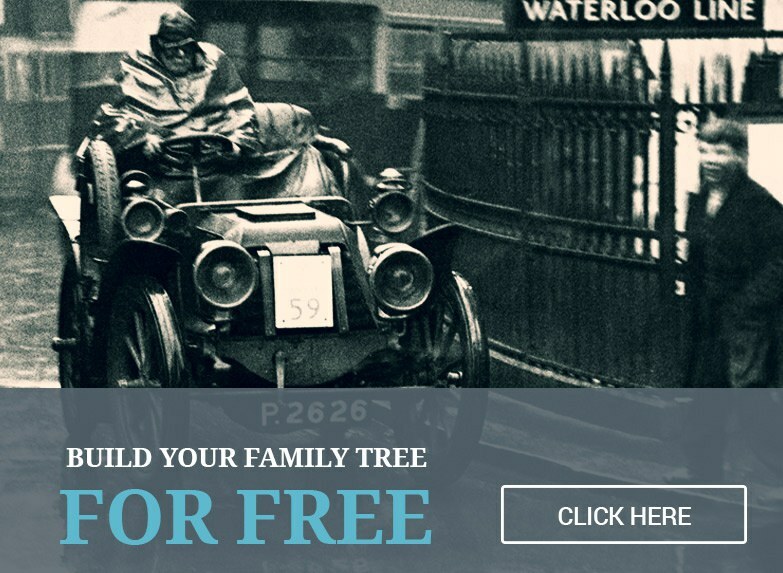 To find out what you need to do to create your own WDYTYA? experience, keep reading. First, Lisa focused her research on her grandfather Henry 'Harry' Hammond and uncovered his household record on the much-vaunted 1939 Register. Take a look at the short clip below to see just how easy it is to search the Register - Lisa discovered an unknown relative in a matter of seconds. The 1939 Register is a snapshot of the civil population of England and Wales as war broke out in September 1939. It's the jewel in our record collections, offering you so much more than just a list of ancestors. As well as detailed transcripts and original records, the Register also includes maps, newspaper clippings, photographs and statistics about the household you're viewing. As well as confirming where her grandfather lived and what he was doing for a living on the brink of a life-changing war, the Register also uncovered a relative Lisa had never heard of before - Minnie Hammond. What will it reveal for you? Search it for yourself and see what you can discover about your family, home or town in 1939. Our quick demo video will help you get started. The 1939 Register was just the tip of the iceberg when it came to Lisa Hammond's family discoveries. Read on for a summary of other essential resources she used to help bring her ancestors' remarkable stories to life. To check if Harry Hammond actually fought in the war, Lisa consulted our British Army Casualty Lists, one of the few Second World War resources open to the public. This fascinating collection is only available online at Findmypast and forms part of our extensive military collection. A collection that includes more British military service and pension records than any other family history site, dating as far back as 1760. The casualty lists did indeed confirm for Lisa that Harry saw service during the War, the next step was to uncover what became of him. As her journey of discovery around her grandfather continued, Lisa found out that he was captured as a Prisoner of War during the Second World War and would have endured harsh treatment at the hands of enemy troops. This poignant revelation is a reminder to all of us of the sacrifices our ancestors made and the bravery they showed in the face of such extreme conditions. Another of our unique military collections, our PoW records will tell you your ancestor's service number, rank, birth place, what prison camp they were held captive in and more. Lisa's main goal for tracing her family tree was to confirm that she's London to her very core and that prospect seemed more promising as she delved further. 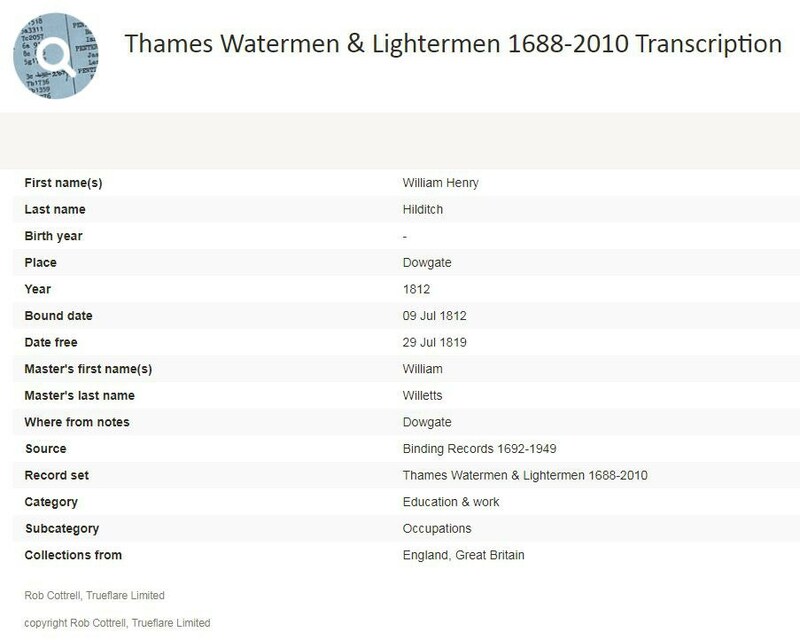 One of her maternal ancestors, William Henry Hilditch, even turned out to be a Lighterman on the Thames and we've found him listed in our records. With this record set being one of our more obscure resources, this discovery proves that your ancestors could be hidden in the most unlikely of places, so keep an open mind when searching. Next, Lisa dug deeper into the Hilditch branch of her tree, discovering that William's uncle, Joseph was quite a well-to-do gentleman. To find out exactly how much he was worth, she checked a record that is included in our wills collection. These Bank Of England Wills Extracts, brought online through our partnership with the Society of Genealogists, can help you pin down fantastic details on your ancestors. Not only will they reveal the extent of your relative's riches, you can also discover their marital status, details of their bequests and the exact date they died. Finally, Lisa's story took an unexpected turn when she realised there's much more to her than just London lineage. Much to her bemusement, it turned out some of her ancestors were farmers from North Wales and a baptism record from 1759 was all the proof she needed. Our Denbigshire parish records, form part of our exclusive Wales Collection - you won't find these records anywhere else online and they're pretty essential for getting back further in your Welsh family history. Ready to Start Tracing Your Past? TAGS 1939 register wdytya work records celebrity military records eastenders welsh records discoveries lisa hammond london records who do you think you are?